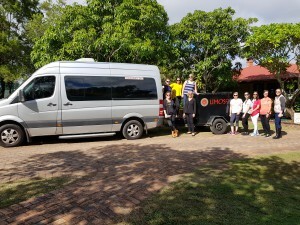 Iceberg Travel were given the opportunity to take a group for an overnight famil to Spicers Hidden Vale on Limoso private transfers. 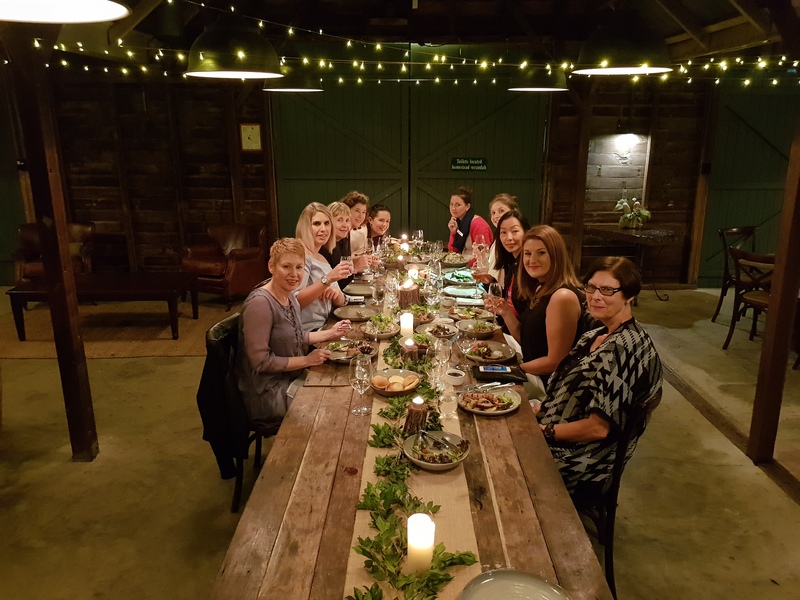 We met at the beautiful Spicers Balfour for lunch and a site inspection before our party bus transfer to Spicers Hidden Vale. 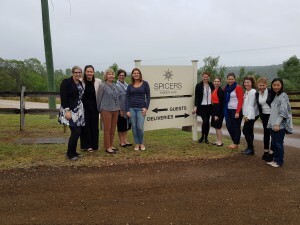 Blown away by the beauty of Spicers Balfour the group was very excited to see Spicers Hidden Vale. Arriving at Spicers Hidden Vale after a champagne filled party bus ride, we were greeted by the most beautiful landscape and pure serenity. We commenced with a site inspection of the many cottages on the property surrounding the main homestead and were all shown to our self-contained cottages. The 29 rooms and suites feature verandas with sweeping country views and open fireplaces, each with their own unique character. We also visited the market garden where all the seasonal produce is grown for the onsite restaurant, Homage. We then headed to The Barn for our cheese tasting with matching wines in front of the roaring fire. Later in the evening we headed back to The Barn for dinner. We were presented with an array of different sharing platters with beautiful food all paying homage back to the land in which it came. With smoked meats and delicious salads, breads and sides including damper on the coals we all ate our fill. A little later we were presented with the most delicious home cooked apple crumble, custard and ice-cream. We finished off the evening with smores over the fire. What a wonderfully relaxing evening! The next morning, we all headed to breakfast after a scenic morning walk exploring just some of the 12 000 acres of Australian Bushland Spicers Hidden Vale has to offer. We were greeted at breakfast by tea, coffee, fresh bread and homemade yoghurt, followed by your choice of plated gourmet breakfast, beautiful. 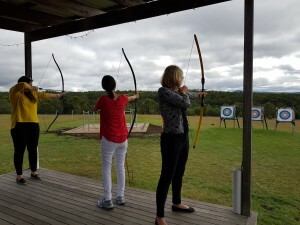 After having our photos taken looking out over the pool with rolling hills in the background we headed off to try our hands at some archery, one of the many activities offered at Spicers Hidden Vale. After all having a glorious attempt at archery, there were many success stories and many misses but a good time was had by all trying to pop the balloon on the target. We then had a final site inspection of the cosy on-site conference facilities, spa and cottages. 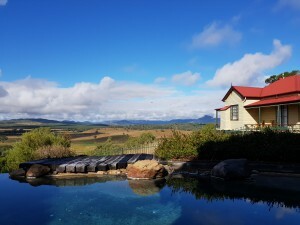 Not wanting to leave this hidden gem only one hour’s drive from Brisbane we headed home on our private transfer with Limoso. 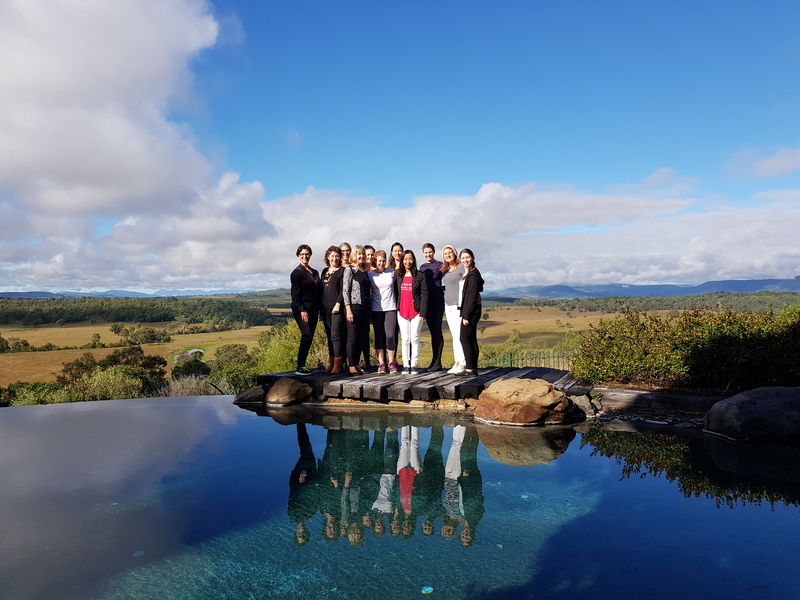 A massive thank you to Spicers Hidden Vale and Limoso for hosting a truly unforgettable famil.